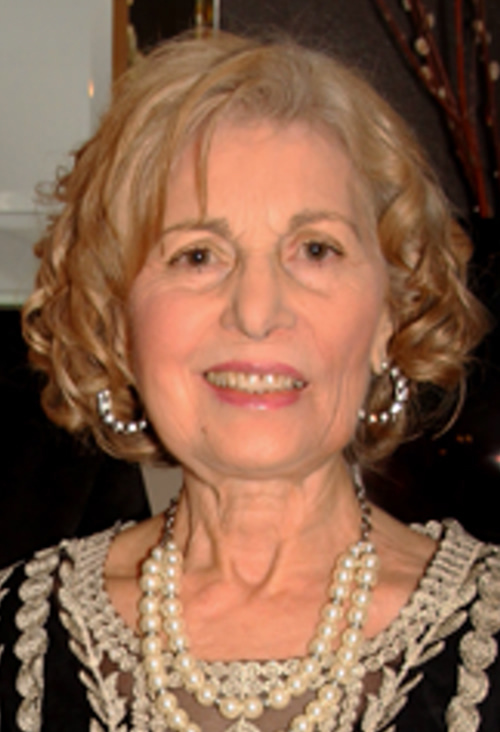 Eleonora Guerrieri (nee Stabile), age 73 of Willowick, passed away February 6, 2019 surrounded by her loving family. She was born June 25, 1945 in Lecce, Italy to the late Michele Stabile and Domenica Capilungo. Eleonora was a quintessential homemaker and longtime parishioner at St. Mary Magdalene Church. She was a skilled gardener, exceptional cook and impeccable seamstress. She loved spending time with her family, especially her grandchildren. She was a beautiful woman inside and out. Her sense of style and fashion were second to none. Eleonora will be lovingly remembered by her husband of 51 years, Antonio and her children, Lora (Jack) Hay, Antonella (Ron) Guerrieri-Kost and Mark (Theresa) Guerrieri; Eleonora will also be fondly remembered by her grandchildren Alexandra, Jackson, Nathan, Luca, Giovanni and Lorenzo, by her brothers Cesare Stabile, Rodolfo (Anna) Stabile, Alfredo (Maria) Stabile, and sister Malfida (Gianni) Sozzo, by her brother and sister-in-laws Alfredo (Maria) Guerrieri, Renato (Denise) Guerrieri, Nicoletta Mastrocola, Rita (Osvaldo) Silverii, and Filomena (Antonio) Francischiello, and by her many nieces and nephews. She was predeceased by her brothers Giovanni and Orlando (Silvana) Stabile and brother and sister-in-laws Raffaele and Serafina Guerrieri, Raffaele Mastrocola and Natalia Maiocco. A Funeral Mass will be held Monday, February 11, 2019 at 10:30 AM at St. Mary Magdalene Church, 32114 Vine Street, Willowick. The family will receive friends from 3-7 PM Sunday, February 10, 2019 at McMahon Coyne Vitantonio Funeral Home, 38001 Euclid Ave., Willoughby. Entombment at All Souls Cemetery in Chardon Twp.